Before a reading of the book at Tildie’s Toy Box in East Passyunk, SPR caught up with Haldar (AKA Lushlife) about his new book P is for Pterodactyl: The Worst Alphabet Book Ever, how it came about and the amount of success the book has accumulated since it first went on sale in November. 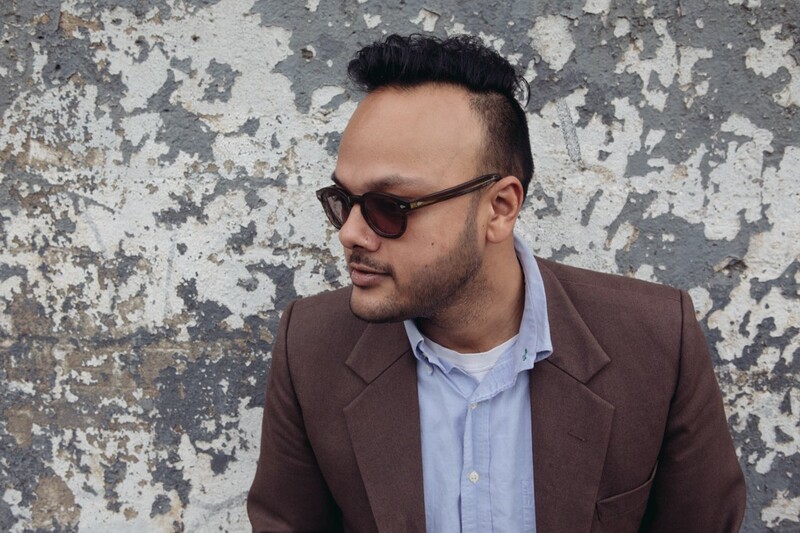 Raj Haldar has been living in South Philly for more than 11 years, and he’s been making rap music under the moniker Lushlife for most of his adult life. Making a book for children was never exactly a dream of his. He doesn’t even have any children — at least not yet (he’s getting married in June). But being the creative mind he is, he couldn’t not act upon a great idea he had with his longtime friend Chris Carpenter: an alphabet book for children in which every word begins with a silent letter. 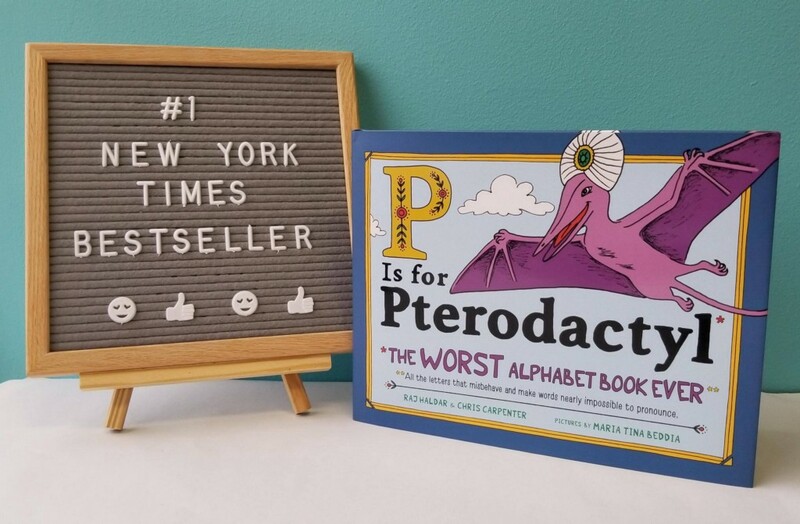 Before a reading of the book at Tildie’s Toy Box in East Passyunk, SPR caught up with Haldar (AKA Lushlife) about his new book P is for Pterodactyl: The Worst Alphabet Book Ever, how it came about and the amount of success the book has accumulated since it first went on sale in November. How did this book come about? You’re a rapper and you wrote a children’s book. It sort of started out as a little bit of a laugh between friends. We came up with this idea of doing a silent letter alphabet book and Chris and I just started making a list of words with potential and as I started looking at that, I really saw the possibilities for a children’s book pop out. Words like knight and gnome and czar and tsunami and it sort of felt like it evoked a rich world for kids books to me. But I’ve been in the entertainment business for basically my whole adult life, but not on the publishing side. I didn’t really know anybody in book publishing when we started down this road. It was a long process of not only just getting the manuscripts ready and finding our wonderful illustrator Maria, but, like, I spent a lot of time just doing meetings with people and agents and publishers and getting into this side of the business. It was a long process from start to finish to the point when we had the book came out on Nov. 13. As far as the motivation of wanting to do a children’s book as a musician, I sort of think of myself [as someone who] likes to make stuff. I like the creative process. It just so happens that since I was a teenager through my 30s and still presently, that thing generally happened to be records and albums. So this feels like an extension of that to me. The first thing that popped out to me when I heard of the book was that it was such an obviously good idea for a children’s book. Were you surprised nobody had already thought of this already? That was the opportunity! That’s the thing where it’s, like, when a silent letter alphabet book [idea] popped into my head and I just did a cursory Google search and there was nothing that’s when I was like, ‘Holy s — -. Nobody has done this.’ On the other side of it, trying to document the success of it, it is one of those ideas that sort of has a deep simplicity to it. I think people really latched onto it because you look at it and you’re like, ‘Oh, well, why didn’t I think of that?’ or something like that. I think that feeling is the same feeling that makes it a highly shareable sort of tongue-in-cheek kind of thing. I feel like in a way we unknowingly created a book that’s a meme. Even before anybody’s really seen the inside of the book, there are thousands and thousands and thousands of shares on social media of the book’s cover and title alone. No. Not yet! I’m engaged to be married this June, so maybe soon. It’s funny, I get that question a lot, and it’s like, ‘Oh, so what spurred you to start writing children’s books? Do you have a little one at home?’ And I’m like, ‘No, man. I’m just a rap dude who wanted to make a kids book.’ But yeah, no children yet. But I’ve always had a connection to the great children’s content that I loved as a kid. Even as an adult, I still have my Tintin comics and my Shel Silverstein books and I read through them from time to time and I am a great fan of the kind of children’s content that you can read again as an adult and it has another level of dry humor that an adult can appreciate. I don’t know if I was successful, but that’s something I was trying to impart in this book as well. Your book sold out its first 10,000 print copies in the first day of going on sale. Afterward, the publisher ordered an additional 210,000 to meet the high demand. That tells me that perhaps this got way more popular than you were expecting it to be. Also, it’s on the New York Times Bestseller list, right? Right. It still is, which is surreal. It’s been coming up on two months on the New York Times Bestseller list. It was №1 through the holidays, which is the most competitive two weeks as you can imagine for picture books during the year. Truly, I had no expectation that it would be such a wildly successful book and it would be so embraced. I spent three weeks making it and I did, of course, have high hopes for it, but if it had sold that first 10,000-book run in a year, that would have been a success to me. And it did that on the very first day. So it’s been a total trip the last few months. It’s changed everything. And very quickly, I was at a party the other day, and somebody was asking me, ‘What do you do?’ and for my whole adult life I reflexively said, ‘I’m a musician,’ but that is rapidly changing or at least becoming hyphenated to rapper-kids book author. Do you have any plans to write a second kids book? Well, we are enjoying doing all these readings and sharing this book with the world, but, of course, with the way this one’s been embraced, we’ve definitely got some stuff cooking.